When it comes to strategic role-playing games that I have run into so far during 2017, God Wars: Future Past would have to win the award for most breathtaking. 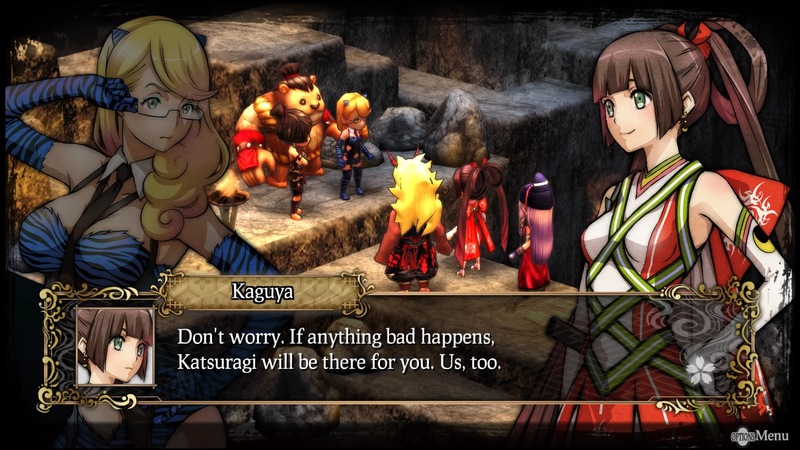 From the eye-catching visuals, stylish anime cut-scenes, and even more stylized characters from Japanese mythology, it certainly is a game that is hard to divert attention from. However, with the initial release on PlayStation Vita and PlayStation 4, the game did have a few niggling issues and extra content released that never came stateside. Then again, with a few notable titles released in the same month, hard to say if it received the attention it deserved. God Wars The Complete Legend (or as I like to call it: God Wars Complete) manages to only bring the extra content, but the whole experience to the Nintendo Switch for the first time as well as the previous systems as a digital upgrade. Of course, is it worth picking up for those that likely passed it over? For the uninitiated, the story sees players through the journey of Princess Kaguya and her quest to quell the gods as well as discover why her mother sealed her away and sacrificed her sister for the good of Mizuho. Where most of the developments in the story are slow going, it easily makes up for it with a cast of colorful characters and the later narrative threads that breaks away from common RPG tropes. It won’t win any literary or writing awards, but serviceable and entertaining for what it is worth. Of course, personally speaking, the main draw is seeing the rather creative portrayal of the Japanese pantheon. My favorite would have to be Hintori, the Japanese version of the Phoenix that is a lot more cooler and menacing than Osamu Tezuka’s take. Where the game is fairly lengthy (my personal playthrough clocking in at 38 hours for the main story), doing optional missions, training to gear up your squad, and the post-game/dlc content pushed me over to 60+ hours. 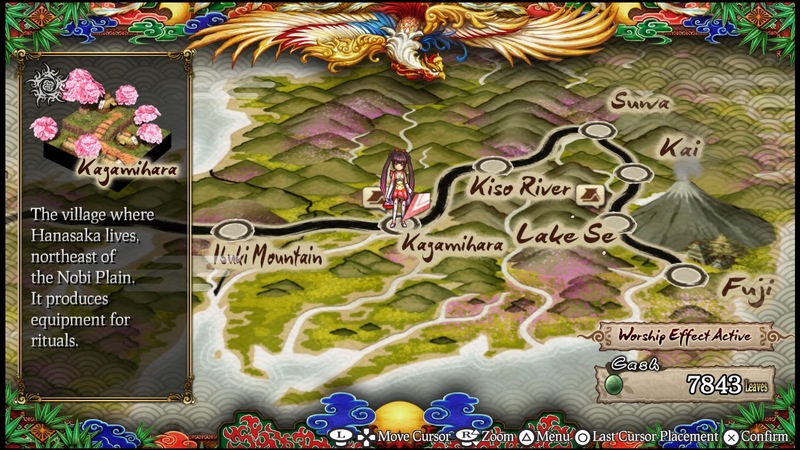 For players familiar with likes Final Fantasy Tactics or Fire Emblem, gameplay for God Wars is quite similar: players are given an overworld map where they can travel travel to different points to buy items, take on optional quest at the shrine, and go to the next story related event that usually starts off with a battle. However, unlike many SRPG where skirmishes can seem like one-sided affairs, God Wars does have some reins on that end since special skills and moves require MP that you begin a fixed amount with. Although, with the game allowing characters to access certain skills by way of choosing a class and subclass that can be changed at will, it probably won’t take long for even novices to find quick and merciless means of dispatching foes and circumventing a few minor obstacles. The only real major issue is that some battles can seem rather lengthy, especially with the enemy resorting to stall tactics or actually wasting time trying to take the fight where they are. Bosses on the other hand…well, they are not shy at all getting in your personal space which makes for more interesting battles and having to use skills and abilities you normally wouldn’t. Of course, if you still find battles going to slow, you can always opt to turn off animations. For me, I prefer to see them play out. Echoing the sentiment made earlier, God Wars greatest appeal besides it alternate take on various members of the Japanese pantheon would be artwork and visuals. 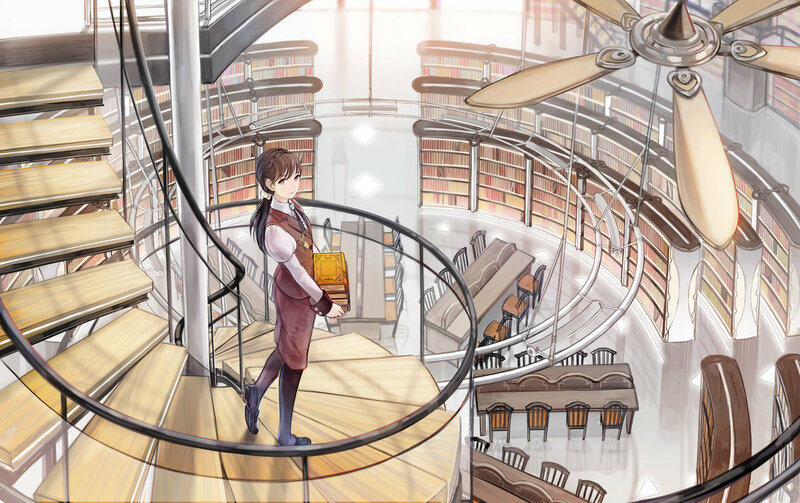 With the style similar to the woodblock paintings of Ukiyo-e, many of the otherwise boring character designs and environments spring to life and a marvel to take in. Granted that the same beauty does carry over to the actual combat and battle animations, it is still decent nonetheless. Musical tracks in the game are on the weaker end of the spectrum – with the overworld and battle tracks slipping into obscurity, but gets the job done. Thankfully, the option for either Japanese or English voice-overs exist, yet werid for the Japanese track not have subtitles during animated cutscenes. This was not fixed in God Wars Complete as of writing, so might be something of an oversight given very few of the animated sequences take place. So is God Wars Complete worth the purchase? Well, if you aren’t seeking out the next Final Fantasy Tactics or even Disegea, I would say so. Coming with it’s own unique style and flair, it is a nice addition to any level of SRPG and RPG fan. Even more so if you like the theme. With a lot of room left for improvement and God Wars 2 getting the green-lit for production, I am glad this is not just a one-off thing destined to fade into obscurity. Either way, this is not such terrible start. Cons: Some map layouts can be frustration to play through, uneven difficulty spikes, combat can feel slow. Final Verdict: God Wars is a simply charming tactical role-playing game with a top-notch visual style. Where the gameplay does have a few issues, it is still worth checking out, especially for fans of Japanese mythology and looking for something different. Buying the complete version for those that have yet to get the base game is a well warranted purchase. Thanks for the review, I’ve been really curious about this one for a while 🙂 Happy New Year! Enjoyed it more than I thought I would even though that’s not saying much.